Hello friends! I hope all is well. I feel like I am running behind but I working hard to catch up only to go on vacation in a few days! When that happens, I won't be able to update the blog until after I get back. It might be a good idea to get subscribed on my youtube channel so you will see the videos that go live while I am gone. Once I get back, I will update this happy internet space! 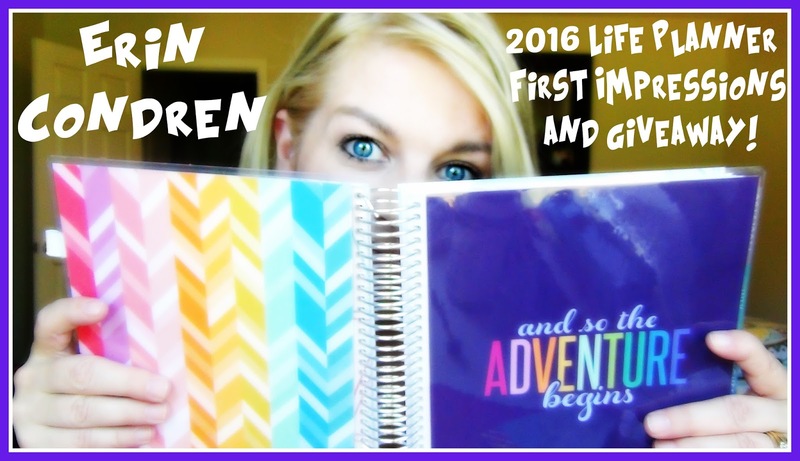 :) So right now I am back sharing the new 2016 Erin Condren Horizontal Life Planner. I know a lot of people are sharing their thoughts on this particular planner, so I thought I would as well. BUT....I am not stopping there! I am also hosting a giveaway where one of you guys can win a Life Planner as well. In order to enter, you will need to watch the video below. Look out for the 5 questions you need to answer to get entered and then use the form below. I know that sounds like a little bit of a hassle but I only want people who really love planners to enter and win. I hate it when people just see giveaway in the title and head to the form to enter without ever watching the video. So this time...YOU HAVE TO WATCH...just listening will not work. So find the questions...and let me know your answers on this blog post and or the comments on the video on my youtube channel. This year the team at Erin Condren really seem to have listened to the planner community and made some big changes. First the planner came packed beautifully and came with plenty of samples of stickers, quotes and post cards.When you start moving through the pages of the planner you will find a couple new goal/planning pages that are new but I think the biggest of all is the new horizontal weekly planner layout. They still have the vertical with a lot of new changes there too. 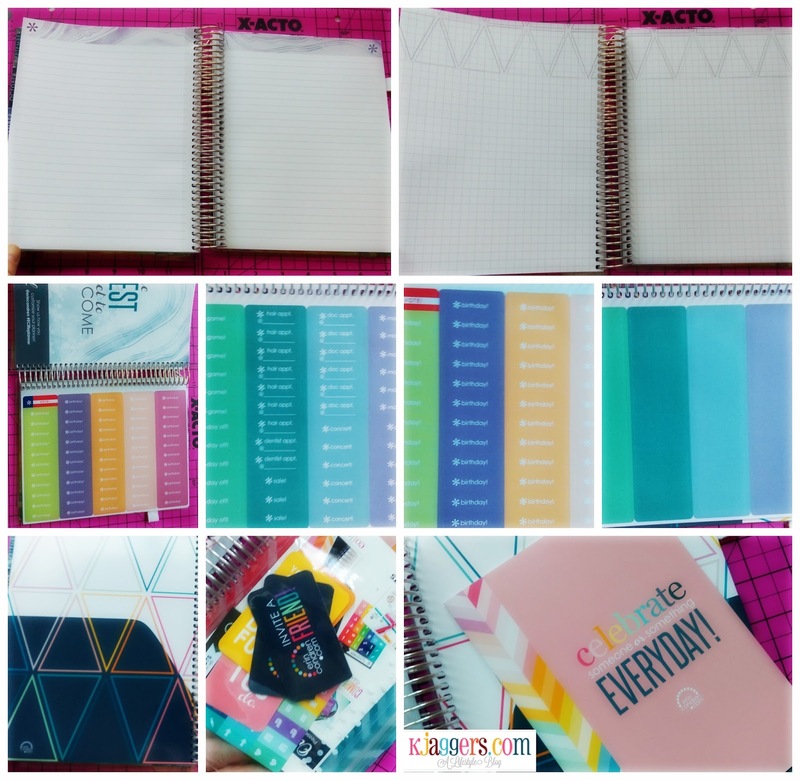 I choose the horizontal layout because I have 3 vertical Erin Condren planners from the past years and thought it was a nice change to try out. Also they have changed up the monthly section of the life planners with less quotes, added moon phases, and a more muted color scheme. The wire binding is much larger this time around to make room for items you add to the planner yourself with the coil clips and such. Also the ruler that comes on the front of the planner is now easier to see through. Last year it was also clear but the white design was a little big and now it is less so we can see through it more. When you get to the back of the planner, you have a note area that has ruled pages, graft paper, and blank sheets for all the notes you want to add. Then you move back to the pocket folder that is better and more stronger than in any of my previous life planners. You have your stickers that come in every planner including a new VOTE sticker that I love. And some of the stickers are labeled for you but you also have 2 sheets of blank stickers that you can write anything you wish and add them to the weekly or monthly sections of the planner. Perfect for those of you who love color coding. You also have a clear ziplock pouch that has a lot of different samples from Erin Condren that we all love. There is also a perpetual calendar that you can move planner to planner if you wish. 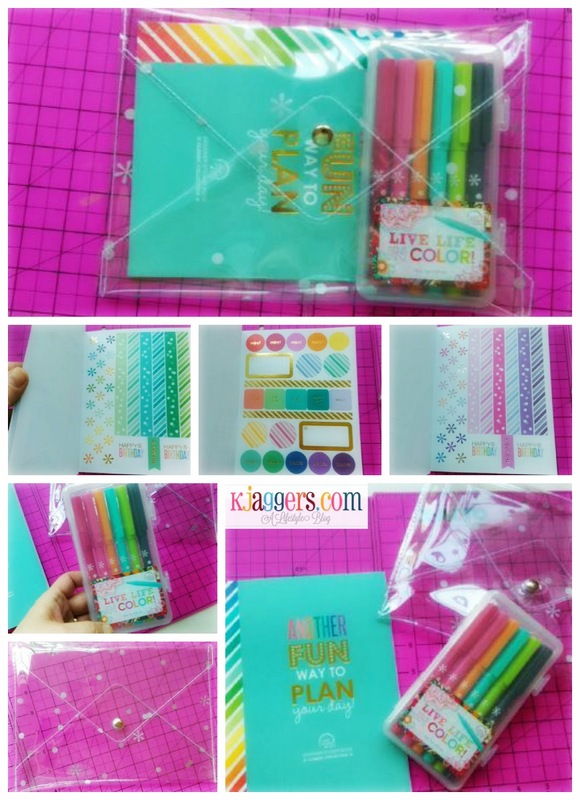 I also ordered a few extras including this Life Planner Launch Bundle which included a large clear envelope which I love, some new stickers that are super nice and their pen set. Why not!? 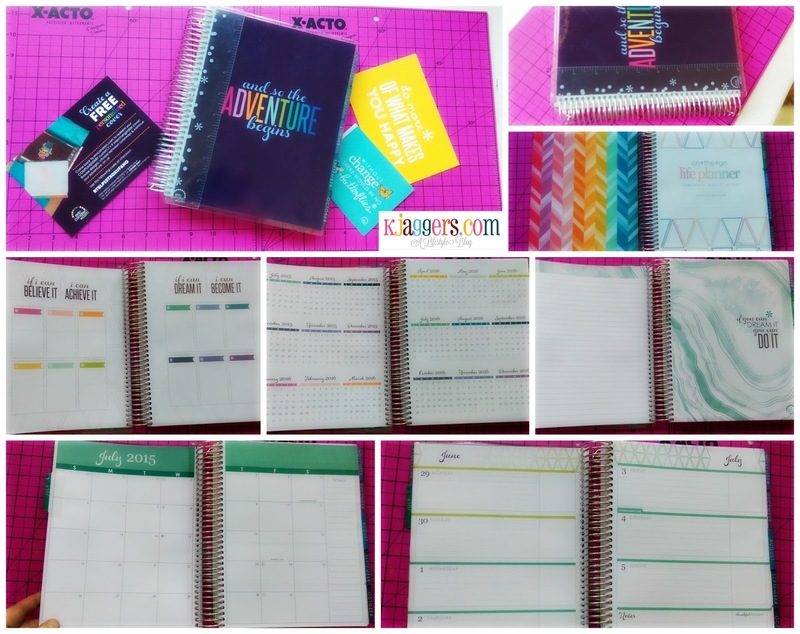 Another new feature of the 2016 Erin Condren planners is they are finally offering a ready to ship planner that you don't have to wait around on. I found it a little odd that they had to run my order through the standard process as before and even had to print it but they are probably super busy right now with the new launch. However, it was less than a week from my order to until it arrived at my door. Also with the ready to ship planners, they are offering a free cover that you can order for your planner. How nice is that!? There is also a rose gold planner that is truly beautiful but I skipped that version because I am still loving my Inkwell Press Planner and I am guessing I will stick to that for life and use the Erin Condren for my blog and youtube work. So over all, I love the changes in they have made this year. I really do think they are listening more to their customers, and trying to keep up with what we want. They have got so much better with customer service too. The planner is super nice. The paper is thick and the colors are not as bright and bold as before. I actually like the muted colors a little better myself. 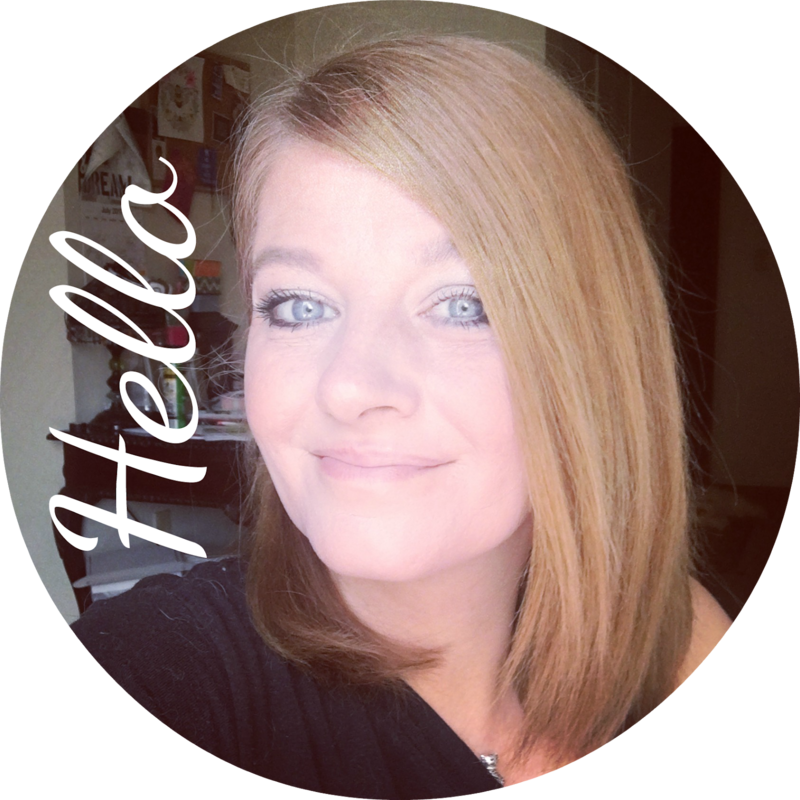 So since so many of you have used my referral link, I am not only sharing the new planner I got for myself, I am also giving one away! I love sharing with you guys. However, like I mentioned above and in the video, there are 5 questions within the video that have to be answered on this blog post or on the video on my youtube channel and then you can come back and enter through the rafflecopter form below. I just want people who love planning and actually watching the full video to win! What you will get is: One Ready to Ship Life Planner 15 month vertical or horizontal layout. This giveaway is open to everyone but you must be 18 years or older to enter. This giveaway is going to go on until July 08, 2015 to get entered. I wanted to give everyone plenty of time to watch and get entered. Good Luck! Oh and if you want to go ahead and order one, use this this link to get $10 off your order. And I use the credits and share planners with you guys in these giveaways. Sometimes Rafflecopter experiences technical difficulties. If you can’t enter for some reason, try again later and it will probably work. If not, let me know and I'll see if I can help.